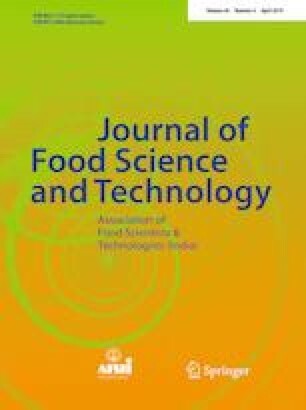 Mixolab properties of different Indian extraordinarily soft (Ex-SW), hard (HW) and medium hard (MHW) wheat varieties were evaluated and related to damaged starch content, particle size distribution, pasting, Farinographic and Mixographic properties. Water absorption (WA) of HW varieties was higher as compared to other varieties. Higher damaged starch led to more WA in HW varieties while lower in Ex-SW varieties. Unextratable polymeric protein, damaged starch and arabinoxylans were related to dough consistency. Mixolab measurement C3 (peak viscosity) and C5 (starch retrogradation) decreased with increase in grain hardness index, damaged starch content, and sodium solvent retention capacity. Dough stability (DS) and dough development time (DDT) measured by Mixolab and farinograph were significantly correlated. Mixolab parameters (C3, C4 and C5) related positively to DDT and DS while negatively to WA. HW varieties showed higher shear thinning as compared to MHW and Ex-SW varieties. C4 (hot paste stability) was lower for HW but higher for Ex-SW varieties. SuSRC was negatively related to C4 indicating that HW flours had lower starch retrogradation due to higher arabinoxylans. C3, C4 and C5 related positively to small size particles while negatively to large size particles. Slope beta (β) measured by mixolab indicated that the speed of starch gelatinization was lower for Ex-SW varieties than MHW and HW varieties. The online version of this article ( https://doi.org/10.1007/s13197-019-03756-z) contains supplementary material, which is available to authorized users. NS acknowledges CSIR, New Delhi for providing funds in the form of a research project. Also acknowledges Dr. Anju Mahendru Singh, Division of Genetics, Indian Agricultural Research Institute, New Delhi 110012, India for providing the material.